When my friends and I first committed to raising money for the Providence Cancer Center as a Hood to Coast fundraising team, the extent of my fundraising knowledge was pretty much limited to “post on Facebook and ask people to donate.” But we realized that a) our group of friends is already fundraising for roughly eight different things at any given time, so asking friends and family for money is a little played out at this point, and b) we’d much rather raise money by doing something instead of just asking for it. After playing around with a few different ideas, we struck gold: donation-based fun runs centered around our favorite foods. It was perfect for us because it combined a lot of things we loved – running, friends, eating, and drinking – plus, we knew that we could count on a solid group of friends and fellow runners to show up and donate. 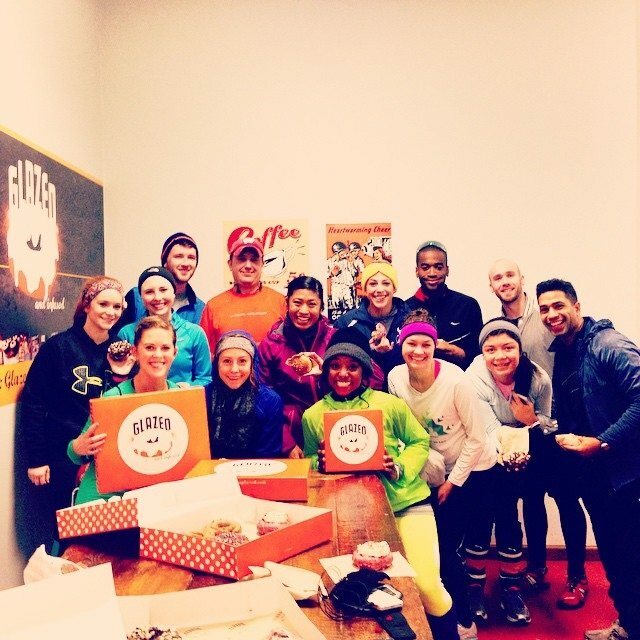 We’ve since hosted two successful runs, the Donut Dash and the Pizza Dash, by asking donut and pizza places to donate their wares and asking that our friends donate to our charity in exchange for a guided run and free food. As marathon training starts up, several of you will also begin fundraising for your chosen charities. Thinking of hosting a charity fun run? Here’s how we did it. 1. Pick a theme that resonates with your friends. For our friends, it was food. Yours could center around different pubs, different sports sites around the city, different coffee shops- whatever your friends are into. 2. Get your donors on board early. 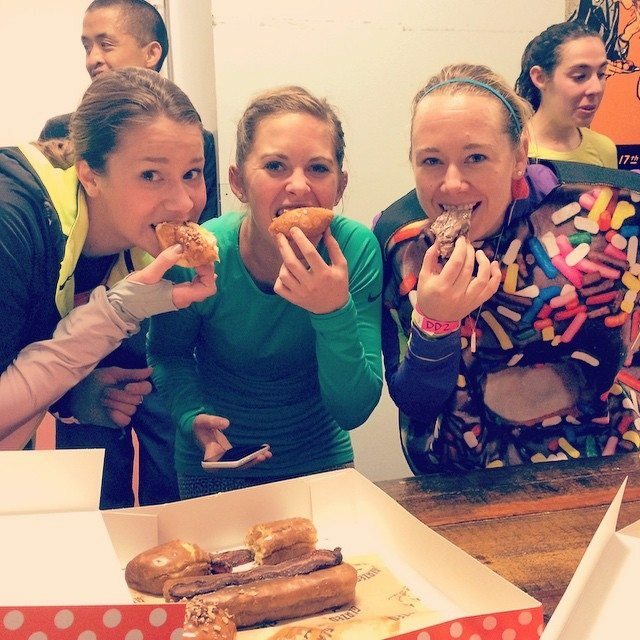 For Donut Dash and Pizza Dash, we emailed places about six weeks out – no one wants to be scrambling for last minute donations. Also, try and ask for donations from places where you have personal connections or where you’re regulars so that they’re more likely to say yes. 3. Speaking of donors, make your ask for donations as personal as possible. For example, when I emailed Glazed and Infused for Donut Dash, I made sure to mention that I went to their Armitage location often and what my favorite donut was. Then, I explained why we were running the race and what our personal connections to the charity were. All of these details make it much more likely that your donors will get on board. 4. Use a platform like EventBrite to organize your event, send details to participants, and collect donations without any stress. Participants will have to pay a small fee per transaction, but everything else is completely free. 5. Spell out details for your donors and stay in constant contact as the run day approaches. Details like how many people you’re expecting, how you’ll manage the flow of the event, the timeline, and what exactly you’ll need from the venue will make your donors much more comfortable with working with you. 6. Be flexible. 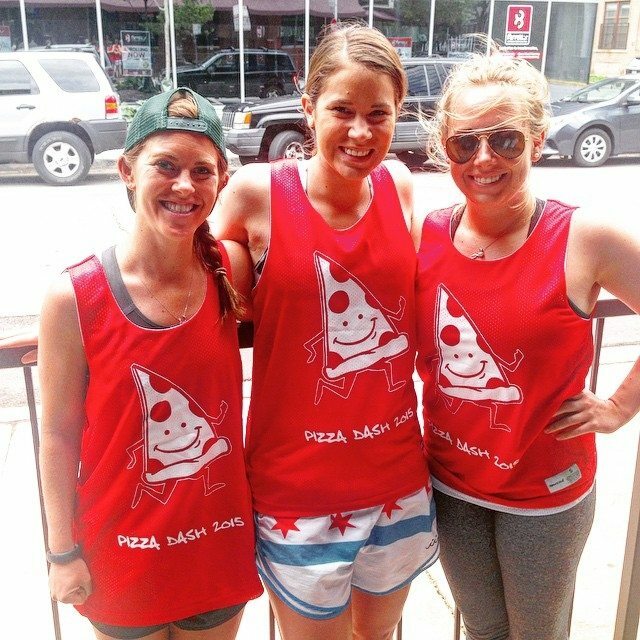 For Pizza Dash this past weekend, we woke up on run morning to heavy thunderstorms and went to Plan B- only to have the weather turn out to be great for running. As my friend Ally reminded me, “you can plan a pretty picnic but you can’t predict the weather.” Luckily, our participants were more than willing to not dash and to just go to a bar and eat free pizza and drink free beer – such saints. The important thing, as Eve assured us, was that we were getting together for a good cause. 7. Making t-shirts? We used Booster.com and loved it (another site where people can buy t-shirts or other apparel from you and all proceeds go to your charity). 8. Keep it small. We limited our runs to 50 people and had 30ish sign up for each run- with day-of attrition, that kept our numbers to about 20 people each time. Smaller is better because you want to avoid having to get any crazy running permits from the city; plus, it’s much easier to manage everyone on the day of. 9. Got friends who aren’t runners? While the object of these fun runs is charity first (all paces and walkers welcome), non-running pals can still help out! We had friends on board to pick up pizzas for us (shoutout to our Piece-keeper Lindsey) and other friends who just met us at the after-party to hang out. 10. Split up the duties among your friends and fellow fundraisers. Everything’s better with friends, and it makes planning much more fun when you’re doing it with people you love. Plus, that way you have more ideas, more connections for donors, and more friends to show up. If you’re thinking about hosting your own fun run for charity and have questions, we’re more than happy to share our expertise! Just remember to invite us- especially if there’s food involved. This is so cute. I wish I had been able to go!